For starters, the one-piece rods feature premium IM8 graphite blanks that are lightweight, strong and sensitive. 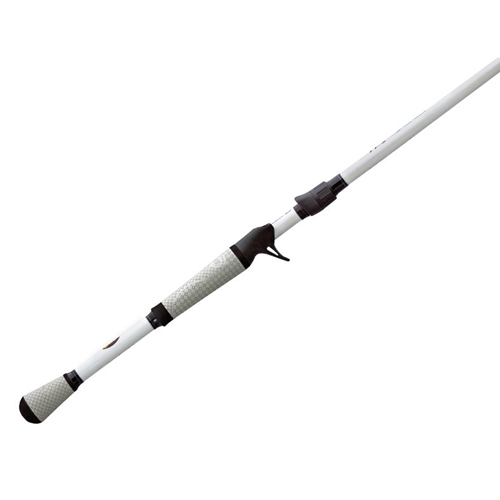 Then there's the Winn Grips handle with patented Dri-Tec technology split grips to provide the ultimate rod control and touch in all kinds of weather. Rod guides are American Tackle's MicroWave guide system for ultimate line flow efficiency to eliminate wind knots, improve casting accuracy and increase casting distance. The first guide looks and acts like a tiny funnel so that the line shoots directly through the rest of the small diameter guides strategically located along the blank. - American Tackle Microwave Guide system. Eliminates wind knots, Improves casting distance and Improves casting accuracy.